Between 1915 and 1925 more Hawaiian records were sold than any other genre of music! As a result there are some important firsts that happened in the Hawaiian music genre that were also firsts in the history of recorded music overall. Step back into this "Golden Age of Hawaiian Music" for some antique Aloha! Join avid 78RPM record collector and professional musician Chris Ruppenthal (Mal-O-Dua, Caravan Gypsy Swing Ensemble, The North Westerns) for a vintage record listening session and a very special Mal-O-Dua performance! 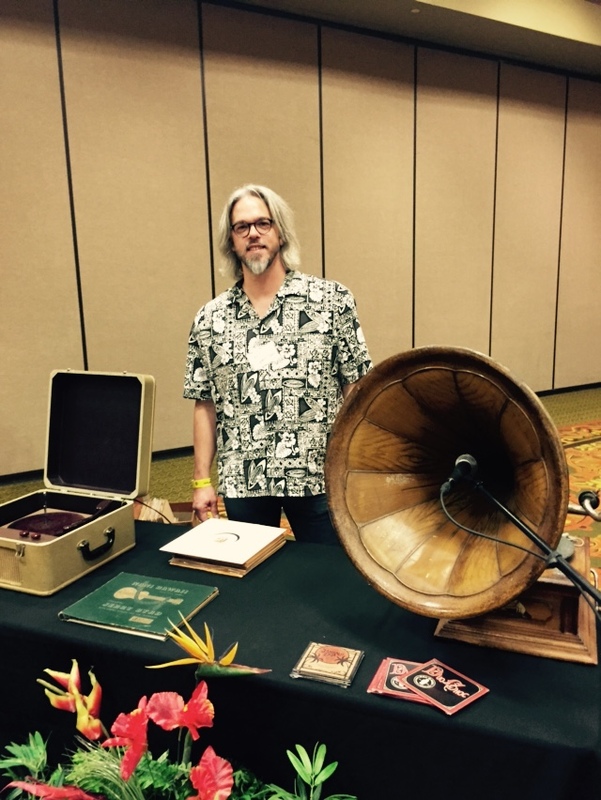 During the first set Chris will add historical context and significance to the original early 78 RPM record issues you will hear played on a circa 1910 Victor Monarch IV horned phonograph and vintage portable tube powered record player. Then later Chris will be joined by Cedric of Mal-O-Dua for a live performance during the second set. You will hear their unique versions of some of the classic original Hawaiian music. As a special bonus Mal-O-Dua will be joined by a local Hula dance trio for a few performances! Chris did a similar presentation as a featured speaker at the HSGA (Hawaiian Steel Guitar Association) 2016 national conference and has been invited to do another in 2018. But now you can experience it here in Madison.